Following any great disaster, whether it is a tornado, a fire, or an all-out war, there comes a time of restoration. In fact, immediately following the devastation of the American Civil War came a period actually known as the Reconstruction Era. We have an inner need for things to be whole or complete. Whether to satisfy aesthetics or to simply return something to its proper function, restoration and reconstruction are hobbies for many and professions for many more. The oral and maxillofacial surgeons at Doran, Capodice, Efaw, and Ocheltree, LLC, are those who fit the latter description. They will be the first to say, in this era of dentistry, reconstruction and restoration have never been so advanced. Oral cancers can be quite devastating on an individual’s face, often resulting in entire sections of the jaw or skull needing to be removed surgically, but cancer is not always the culprit when it comes to bone loss. Bone has a tendency to reabsorb itself if it is not subjected to normal stresses and pressure. It is why astronauts start to lose bone mass when they have been in space too long. In the jaw, once a person loses teeth, the bone in that area starts to reabsorb, resulting in reduced bone mass and the bone thickness necessary to place implants. For those of us who have experienced some sort of devastation in our lives, it is heartening to know there is a chance for restoration. 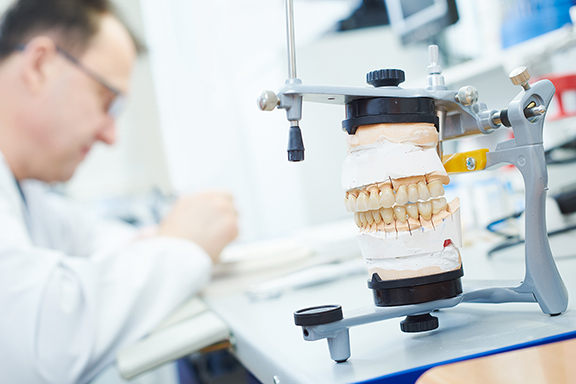 In dentistry, we have entered an unprecedented era of reconstruction — one in which the chances of being made whole again have never been better or safer. If you missed the previous articles in this series, you may read them online at www.HealthyCellsBN.com or contact Cheryl at 309-664-2524 or Ceash7@gmail.com. To learn more about dental implants, their origin and evolution, read future installments of “Changing the Face of Dentistry” in upcoming issues of Healthy Cells Magazine.